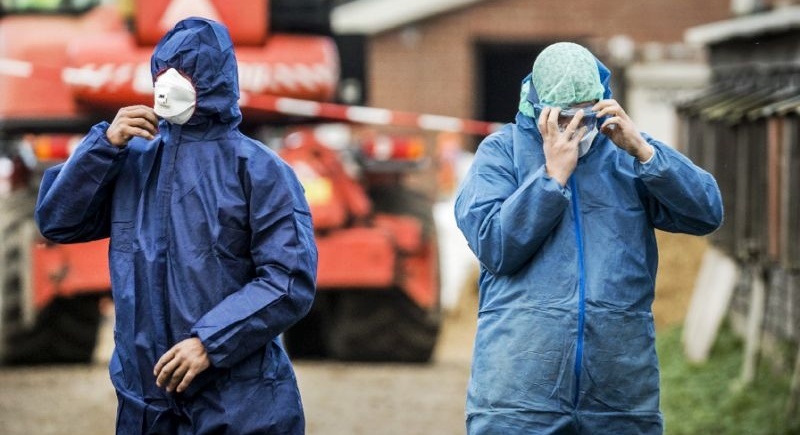 NETHERLANDS: Dutch officials have culled 190,000 ducks on a central Netherlands farm where inspectors have confirmed the presence of a highly infectuous strain of bird flu, officials and local media said this week. The outbreak was detected at a farm in Biddinghuizen, about 70 kilometres west of Amsterdam, where about 180,000 ducks were put down together with another 10,000 within a one kilometre radius, the Dutch food and safety watchdog NVWA said. “There are three other poultry farms within a three kilometre radius and they are being monitored,” the NVWA added in a statement. Authorities have also imposed a ban on poultry and poultry product transport within a 10 kilometre radius, the statement said. Tests indicated that the birds were killed by an H5N8 variant of the disease “which is highly infectuous” for poultry – killing about 30 per cent of infected birds – but not “very dangerous to humans”, public newscaster NOS said. Earlier this month the Netherlands shuttered petting zoos and banned duck hunting as it stepped up measures to stem a bird flu outbreak blamed for killing scores of poultry and more than a thousand wild birds in the country. In the western port of Rotterdam, a park closed its animal section after several aquatic birds were found to have died from the H5N8 virus. Others still not affected have been penned in. And on the banks of Lake Markermeer, close to Amsterdam, about 1,250 wild birds were found dead earlier this month, local news reports said. The H5N1 strain of bird flu has killed more than 420 people, mainly in southeast Asia, since first appearing in 2003. Another strain of bird flu, H7N9, has claimed more than 200 lives since emerging in 2013, according to World Health Organisation figures. Avian flu severely hit the Netherlands in 2003 with health authorities destroying some 30 million birds in an effort to quash an outbreak. Around 106 million chickens are raised on Dutch poultry farms, according to the latest Dutch statistics.